It's already in the middle of the year, and for some, you might start to feel that staying in shape can feel like a drag. Maybe you just want to laze around and wait till you shed off some pounds. Fortunately, there are a lot of easy things you can do to help keep yourself fit — some of which, you might not even realize can help you lose weight. 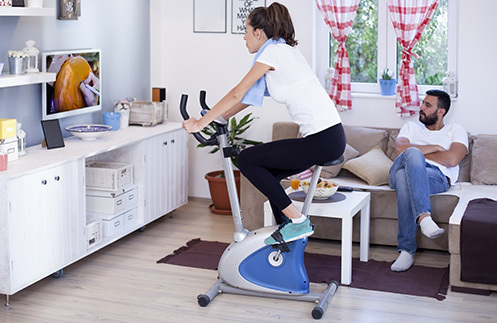 Check out these quick fitness hacks that'll keep you in shape right in the comforts of your own home. It's sometimes said that cleanliness is next to godliness. Another thing that cleanliness can bring? Fitness! Doing chores around the house can easily burn as much as 200 calories an hour, and exercise your arms, legs, and core muscles. 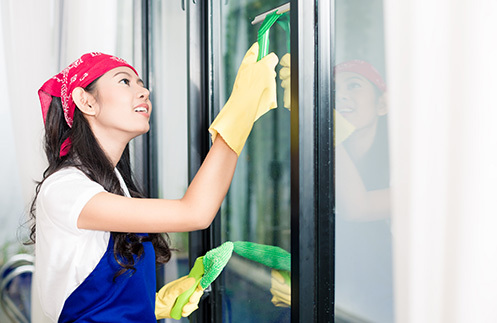 Getting these chores out of the way will ensure that your house is clean, and that you stay active and fit even if you're just indoors. 2. Use your furniture as gym equipment. It's surprising what a good chair can do for a workout. Perform dips, extensions, and squats, while supporting yourself on a chair for a great exercise routine. You could also fire up a fitness app or online videos and do some yoga on your floor. 3. Work in a little exercise in everything you do at home. Squat a little instead of sitting down all day. Weave in a little planking or light floor exercise during commercial breaks while watching TV. The key is to make sure that you're never still for too long, keeping your heart rate up to stay fit while going about your otherwise slow and sedentary home lifestyle. Stay in tip-top shape even at home with these hacks, and you'll never have to worry about gaining weight or losing your fitness level just because you're at home. And once you're done, get yourself a bottle of Del Monte Fit ‘n Right to re-hydrate and help you speed up your metabolism. Just remember — there's a lot more you can do than just simply “working out.” At home or outdoors, try to find something that will really challenge your body as much as you can!